The time has come. You’re air conditioner has called it quits. That, or it’s simply not pulling its weight anymore. But on your quest to find and buy a new air conditioner, you realize these cooling appliances are pretty rangy in price. The cost largely depends on the type of air conditioner you need, the size of your home, and the unit’s efficiency rating. To help give you a better idea of how much a new air conditioner costs, we’ll walk you through the costs below. If you’re in the market for a portable air conditioner, you’ll need to spend around $500 for a top-of-the-line unit that can cool rooms up to 400 square feet efficiently. If that’s over your budget, you can find units that run in between $100 and $300, but they typically cool 100 to 300 square feet. While it may be tempting to go for those inexpensive models, remember that more money typically means greater cooling. So, if you’re hoping to cool a medium to large bedroom in your home, purchasing a top-of-the-line model may be the way to go. Window units share a similar price range with portable air conditioners, typically falling between $120 and $600. As always, before you purchase a window unit, consider the size of the space you want to cool. Window units can only cool areas of about 100 to 500 square feet, meaning they’re best used for single rooms, not entire homes. To cool spaces in that 500 square foot range, units will go for approximately $600 as they’re more efficient and have greater cooling output than the cheaper models. While these energy efficient models have a higher upfront cost, their monthly energy bills will be lower giving you a cost savings in the long term. 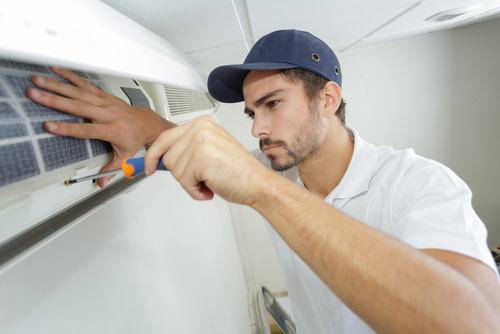 Ductless air conditioners, also known as mini-split systems, are the perfect air conditioning solution for older homes that might not have ducts. Installing ductwork can be expensive, and ductless systems offer a workaround — and a hefty cost savings. That being said, ductless air conditioners are still a pretty penny costing around $2,000 – $5,000. However, these systems come with one compressor that is installed on the outside of your home and several “heads” that are installed in the rooms you want to keep cool. This allows for whole-home cooling, without needing to install ducts, which can easily add another $5,000 onto the price tag. Ductless systems also offer great energy efficiency as each room can be individually controlled. For example, if your guest bedroom isn’t being used, you can set the temperature a little higher in that room to reduce the amount of electricity your air conditioner consumes. This brings your energy bills down as your air conditioner doesn’t have to work as hard. Heat pumps are able to both heat your home in the winter and cool it in the summer, making it a very attractive heating and cooling option for homeowners. Plus, the pump focuses on expelling cool or warm air to regulate temperatures, meaning they use less electricity than other cooling systems. But just how much with a new air source heat pump set you back? Air source heat pumps can cost as low as $2,000 and as high as $4,000, depending on the energy efficiency or cooling power you’re looking for. But heat pumps also need ductwork in order to function, meaning that if you’re home doesn’t have ducts, you’ll have to double your investment. However, in cooler climates (like ours in Minnesota) heat pumps aren’t able to do all of the work on their own in the winter. They need the help of another heating system to do the heavy lifting. While this means you need two heating appliances in your home, a heat pump allows you to run your other heating system at a lower output and shave off a little bit of your monthly energy bill. Central air conditioning units themselves are on the pricey side, costing anywhere from $3,500 to $5,000. But their ability to efficiently cool entire homes upwards of 2,000 square feet makes them second to none. 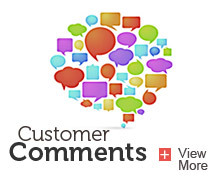 Central air is reliable, will last 15 years with proper maintenance, and has great energy efficiency ratings. Keep in mind, however, that if you need to install ductwork, your investment will go up as there are additional labor and construction costs that come with it. However, don’t let the price tags scare you. The greater investment, the greater efficiency and cooling you’ll receive as a result. And in the long run, efficiency provides cost savings on your energy bills. 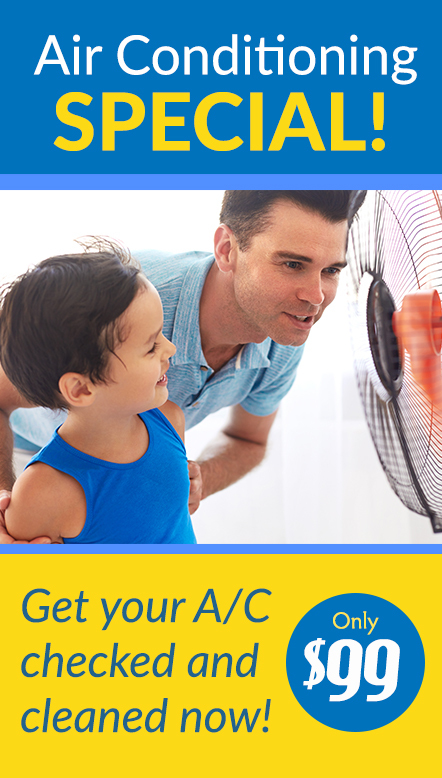 Ready to invest in a new air conditioner? We can help you install it. 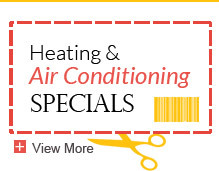 Give us a call to schedule an air conditioner installation.